Machine learning is poised for explosive growth over the next two years with an increasing number of projects moving into production by 2020, based on a recent survey of more than 344 technology and IT professionals. More than 80% of those surveyed confirm that they plan to use hybrid cloud for ML projects while keeping costs down. Univa customers are already asking for guidance with migrating their HPC and machine learning workloads to the cloud or hybrid environment, as they look to advance their ML projects into production. We anticipate a large shift in attitude when it comes to cloud adoption for 2019. 451 Research estimates that 90 percent of companies will be in the cloud by 2019. Furthermore, the cloud category is the fastest growing HPC category at 14-18 percent. New frameworks, containers and cloud are changing how enterprises look at technical computing, to name a few factors. We envision richer solutions moving up the stack into the software layers as public cloud providers broaden their solutions. Also, we see more HPC-style computing offerings, including high speed interconnects, broader bare-metal services, and packaged data management and synchronization solutions. Thanks to compute-intensive application's industries, such as genomics, semiconductor and financial services, to name a few, scientists and engineers are using high performance computing (HPC) to help solve their most complex problems. Requirements to run jobs frequently include big compute, high-throughput, and fast networking. Until recently, the cloud simply wasn't an option for these workloads because there was too much data to move, or costs were too high. That said, we are now seeing cloud providers have advanced to a point that the same type of on-premise infrastructure and services can be replicated in the cloud. Also, many life sciences, deep learning and semiconductor design organizations are under tremendous pressure to build quality products and get to market faster, which often demands extensive computer simulation. As a result, we will be seeing more and more large cluster workloads for these types of industries in the one or two million core count size. These enterprises will be looking to get results faster through extreme scale and will need a policy automation tool that allows their organizations to dynamically create, scale and tear-down cloud-based infrastructure in response to changing workload demand. GPUs have found a great home in HPC, where many tasks like simulations, financial modeling and 3D rendering also run well in a parallel environment. According to Intersect 360, a market research firm that follows the HPC market, 34 of the 50 most popular HPC application packages offer GPU support, including all of the top 15 HPC apps. Therefore, GPUs are becoming essential in HPC. Scientists, enterprise researchers, universities and research institutes all know that speeding up applications is nothing but good for business - and research. We have been talking about AI being one of the hottest trends for the past two years. We are starting to see AI and machine learning steadily making its way into enterprise applications for tasks such as customer support, fraud analytics and business intelligence. There is every reason to believe that these innovations will continue to happen in the cloud, and 2019 will be a big year for AI in the enterprise. Gary Tyreman brings more than 20 years of executive leadership to his role as the president and CEO of Univa Corporation. As CEO, he leads all of Univa's global operations and is the architect of Univa's data center automation strategy, which combines the deep expertise of Grid Engine with Univa's solutions for optimizing and managing IT workloads including containers. Gary has established Univa as a recognized software provider to hundreds of Fortune 1000 companies in multiple industries. 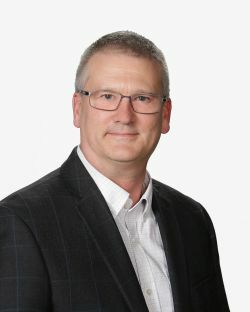 Prior to taking this role, Gary was SVP Products and Alliances at Univa.